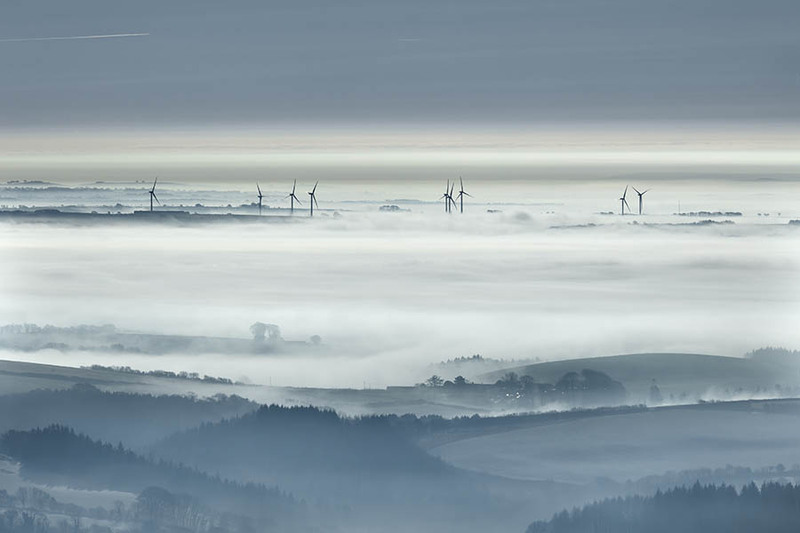 The wind turbines at Batsworthy Cross wind farm loom high above the landscape as the sun rises in the sky and the mist in the fields and valleys that covers the Devon countryside begins to lift. Rackenford. Devon. Dember 2016.